The WIC Program provides moms and kids with a set amount of healthy foods each month, called a food package. The "Food Package" refers to the designated foods that WIC participants redeem from the grocery store. WIC only allows certain healthy foods to supplement the participant's diet. These foods are recommended by the Institute of medicine (IOM) and are consistent with the Dietary Guidelines for Americans as well as the nationally established dietary recommendations for infants and children under two years of age. The foods included in an individual's food package vary based on the participant's category. 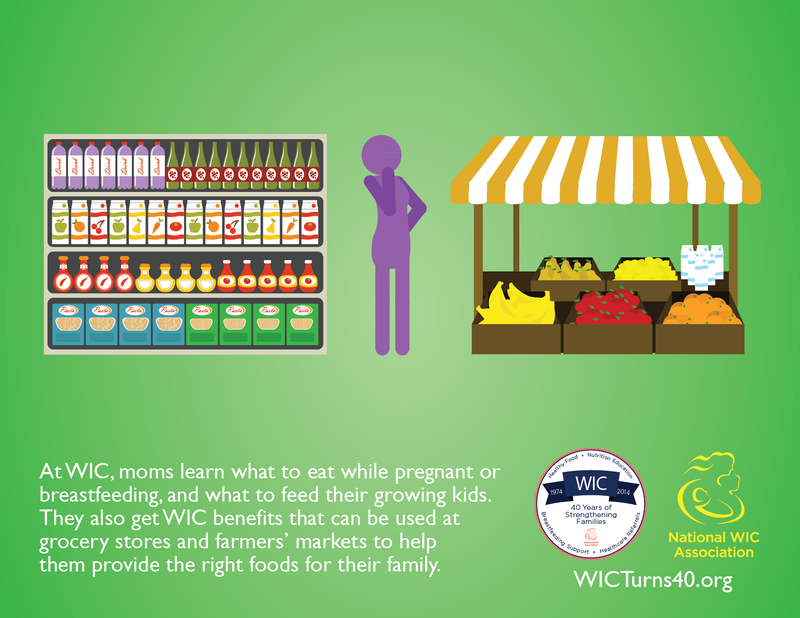 WIC benefits can even be used at farmers’ markets in some states! WIC children have increased intakes of iron, potassium, and fiber. WIC Food Package changes in 2009 were followed by improved dietary intake and obesity reduction among WIC children. WIC participation helps reduce household food insecurity. See these references in our WIC for a Healthier America. WIC has helped improve the availability of healthy foods, specifically in convenience and grocery stores in low-income areas: Study 1. Study 2. Study 3. Not everyone knows about WIC's healthy foods. We’ve created a short animated video to help illustrate how WIC helps strengthen families’ healthy eating habits for generations to come. Help us bring awareness to the value of WIC’s nutrition education services by sharing it!